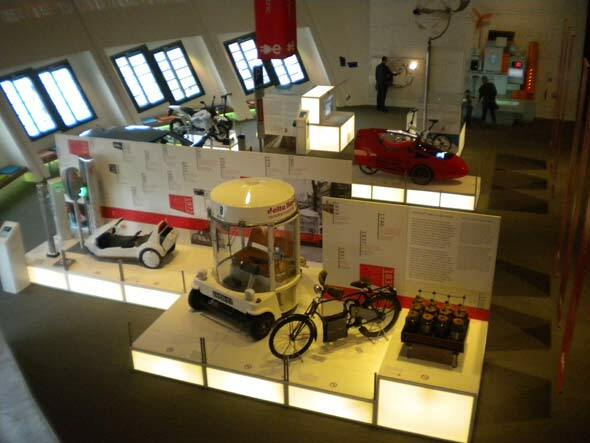 For NEMO NorthernLight designed the Innovation Gallery and the first temporary exhibition Everyone Electric! 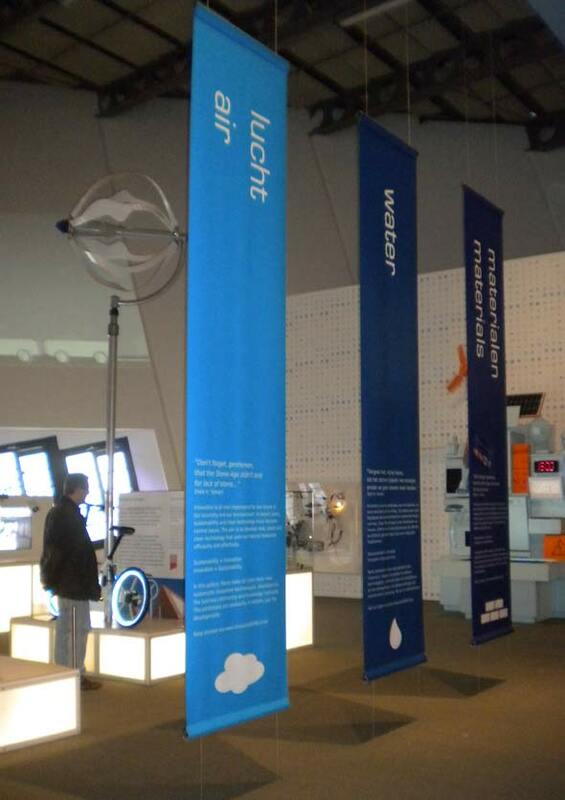 The Innovation Gallery will show innovations on different fields (energy, mobility, food, air, water and materials), with the overall vision ‘sustainability = innovation’. 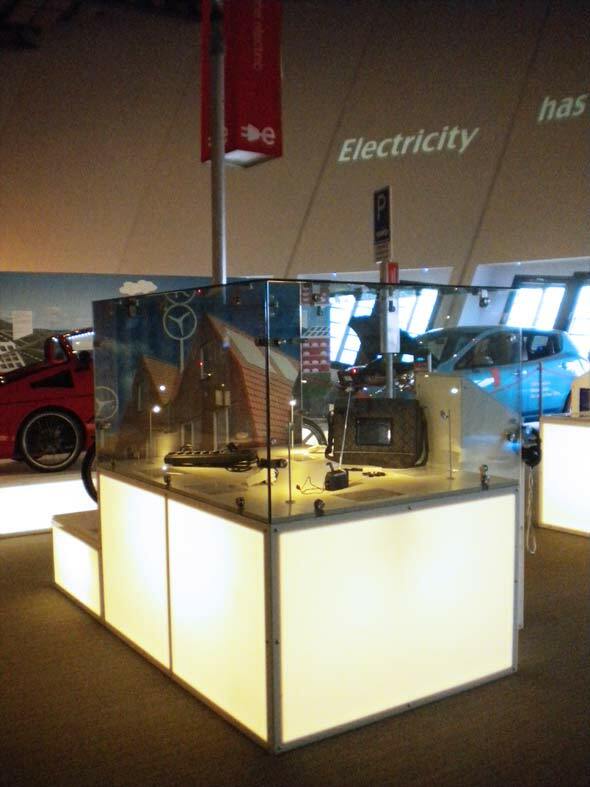 Everyone Electric is about electric transportation and smart grids, the exhibition covers the areas of energy and mobility. The white blocks used to expose the artifacts all have the same dimensions. In this way it is easy to chance the configuration if desired. 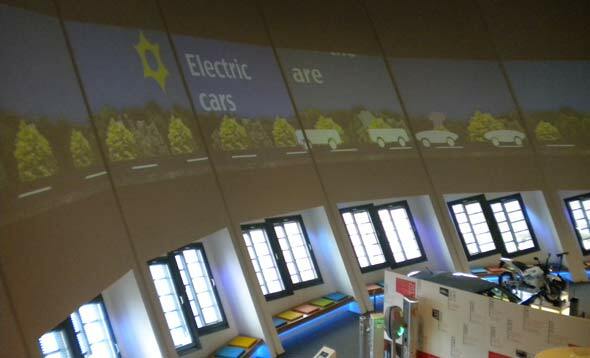 A projection of 20 meters wide is shown on the big wall. The projection shows in illustration how our fossil resources are running out and how green energy can save the world. 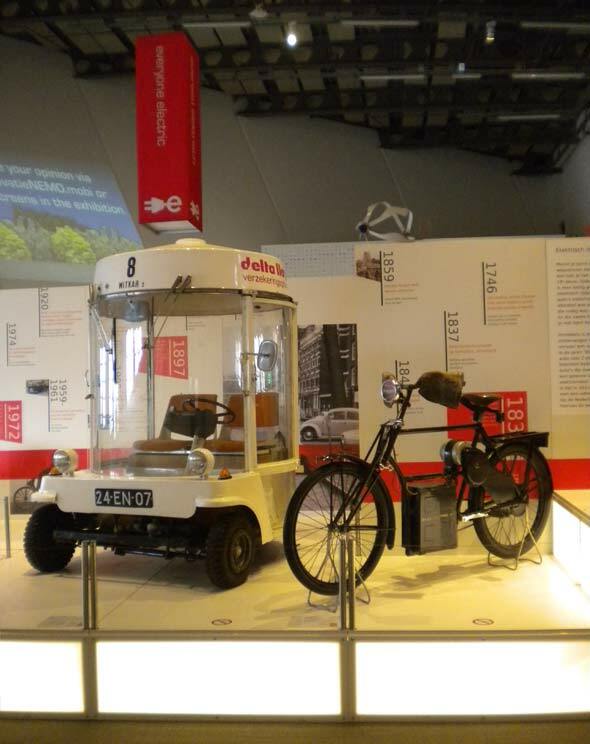 At the side of the exhibition you find a timeline of electric vehicles, including typical Dutch innovations as the wit car and the Jonkers fiets. 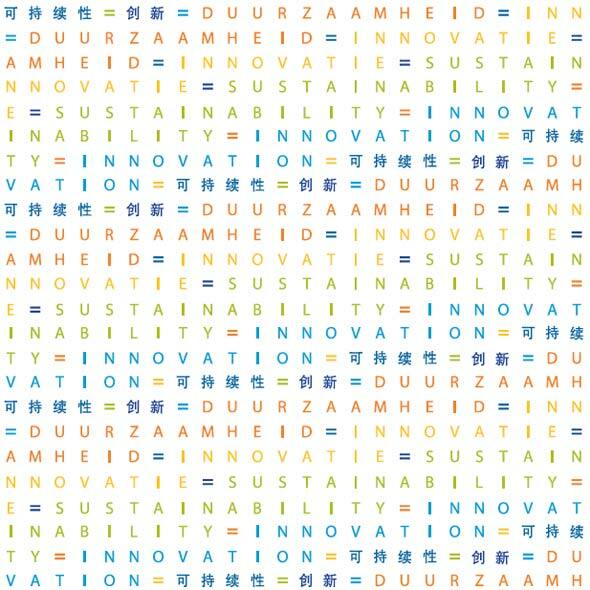 The straight walls are decorated with ‘sustainability = innovation’ in Dutch, English and Chinese. 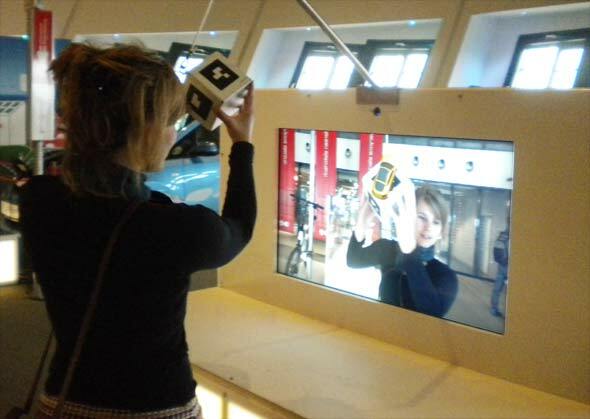 A dice covered with different AR-codes shows visitors the latest electronic cars. To show that your body uses the same energy as cars and other devices the stairway is painted with the amount of energy you used to go up. 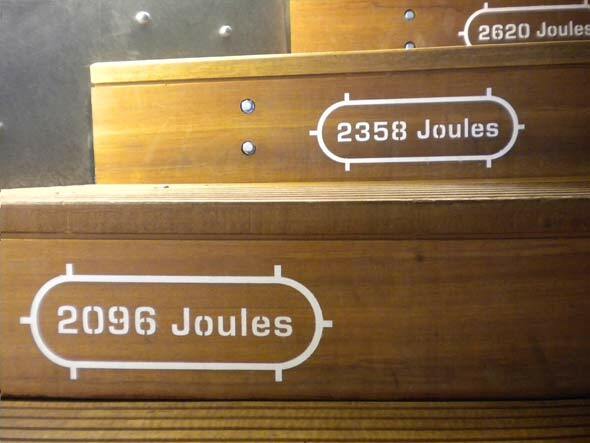 On the sides of the stairs you find the energy consumption of different activities. 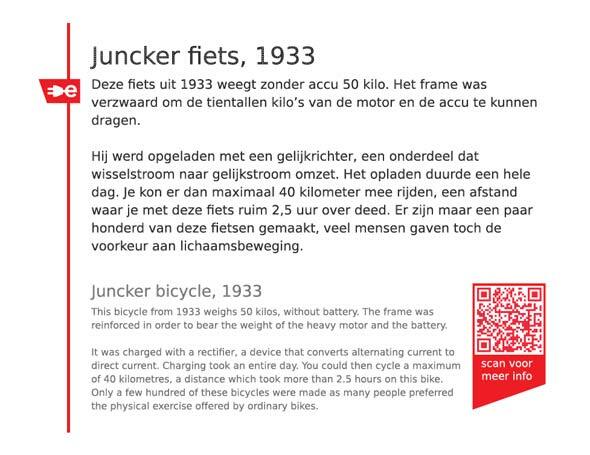 In addition we made a mobile website, goal of this website was to make it possible to show the latest innovations.